Twitter Fabric is a modular mobile platform that makes it easy for developers to install and manage mobile SDKs within their apps. 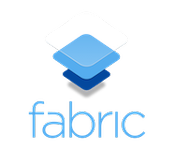 Fabric streamlines the work involved with building on top of third party SDKs, ultimately making developers’ lives easier. Mobile developers using Fabric can install and setup Optimizely in their app without leaving their development environment and update the Optimizely SDK to the latest version with just a single click. With this integration, developers won’t even need to create an Optimizely account; Optimizely sets it up for them. Install Optimizely’s iOS and Android SDKs in a single click. Simple, guided instructions for implementing custom functionality such as code-blocks or live variables. Get notified as soon as a new version of Optimizely is available, then update your installation in one click.